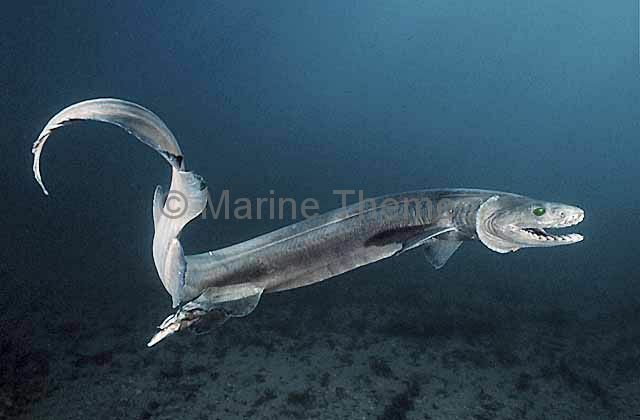 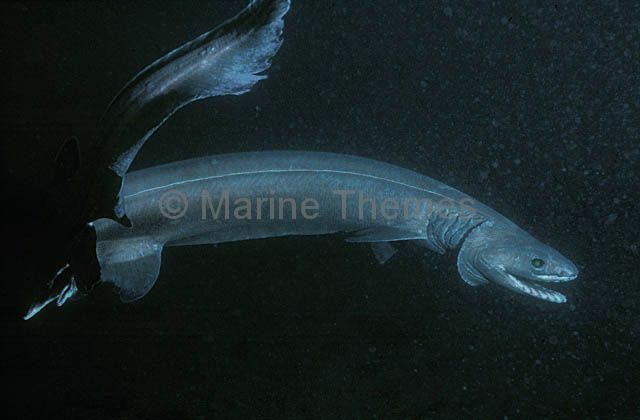 Frilled Shark (Chlamydoselachus anguineus) Rare deep water shark with international distribution. 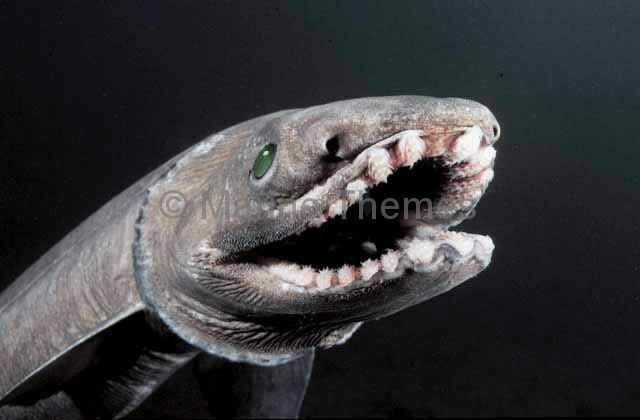 Has rows of three-pointed holding teeth. 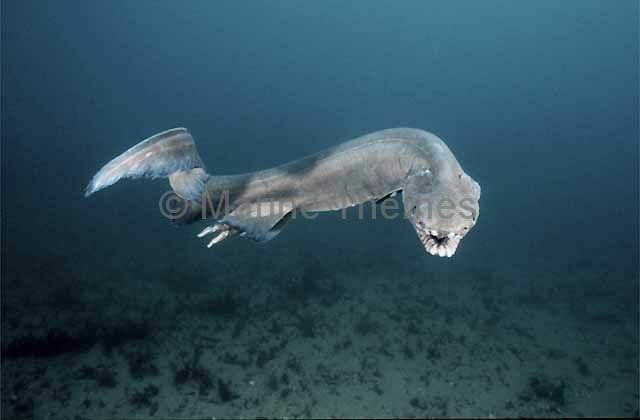 Frilled Shark (Chlamydoselachus anguineus) Rare deep water species.